In 1956 the term artificial intelligence was coined. Since then it started gaining popularity over the years. We should thank the advanced algorithms, data volumes and improvement in the computing industry for such improvements. The artificial intelligence services have been defined in Hollywood movies and science fiction as robots with human-like characteristics. They are known to take over the world. They are not scary at all. In turn, they are quite smart, hence the name artificial intelligence. The mantra in today’s world of technology is to either innovate or die. Artificial Intelligence Services Company helps to provide greater intelligence facilities and is continuing to redefine the industries. This it does by providing greater personalization to the users. It also automates the different processes in the industry. Somehow it is disrupting the way workers are working in the industry. 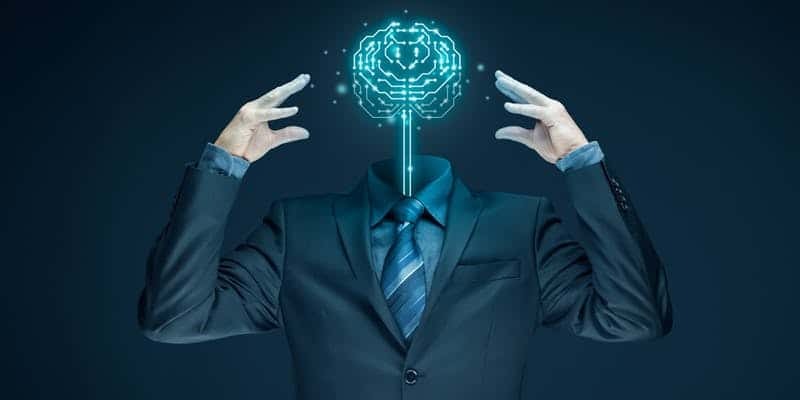 People in the marketing industry are relying more and more on the artificial intelligence service offerings in the new global world. However there is nothing wrong in doing that, but it should be noted that they need to be used in the correct way. If the Artificial Intelligence services are used correctly it provides great personalization and different messages to the people. In turn, they help to improve the experience of the customers in the market industry. In this way, it provides customer satisfaction and helps in selling products. 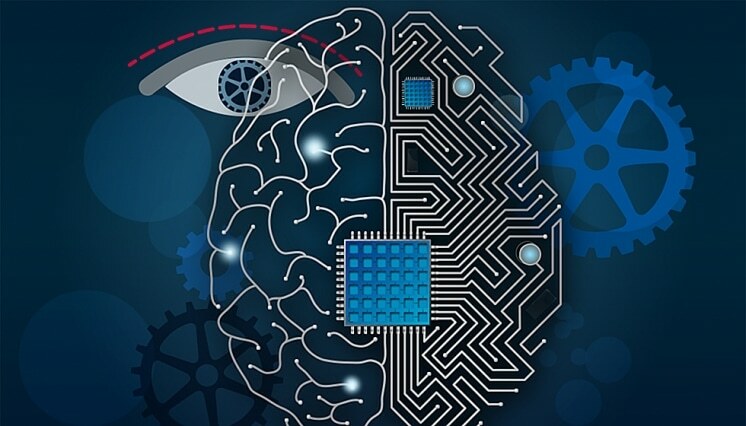 Different tools in the next ten years are estimated to rely heavily on the artificial intelligence service offerings and other machine learning technologies. This is because the companies strive heavily for personalization. There are signs of changing marketing practice with the growth and adoption of marketing technologies. 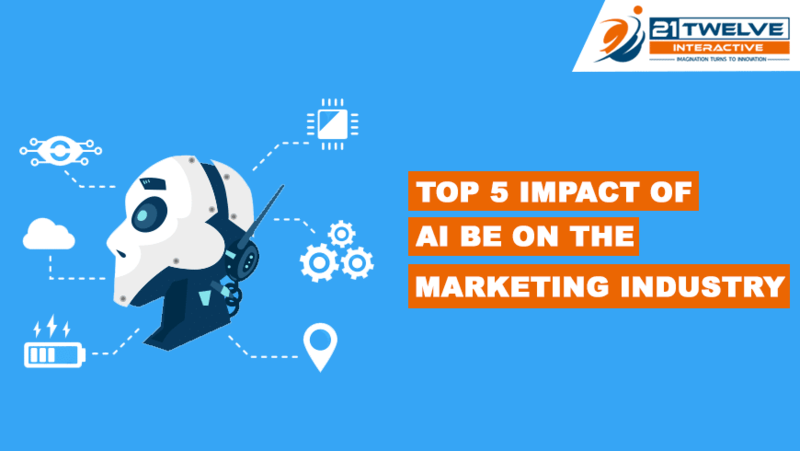 There are numerous impacts of artificial intelligence in digital marketing too. This is because they help to provide major development in achieving the marketing goals and improves the experience of the customer to a considerable extent. With the help of artificial intelligence services, the marketers can easily collect and measure the data. This can be done from voice-based communication services and by known customer preferences with the help of calling facilities and other interactions which are voice-based. This helps in knowing the customers in a better way. Tenfold is known to offer tools for voice-based marketing automation servicemen in the CTI solution. This can also be done with the help of a wide range of telephony lines and other kinds of data systems. There are many notable differences of artificial intelligence to that of the hardware driven programs. The artificial Intelligence services are very different from the hardware driven programs. It does not provide automation of the manual tasks but performs high volume and computerized tasks which are known to be very reliable. However for this type of automation human inquiry is still necessary n some way or the other. This is because the system does not have brains to ask the right questions. The Artificial Intelligence Services Company is just known to add value to existing human intelligence. It is never sold as a separate human application. A number of automatic conversion platforms and bots machines can be effectively combined with a large amount of data to improve the technological facilities both at the home and the workplace. This plays a useful role in the workplace as well as in the home as security intelligence. AI marketing trends also enhance the workflow with the help of automation facilities. With the help of marketing segmentation and campaign management which can be done primarily by the AI the market goals can be easily reached and does not kill the time which is needed for creative intelligence of the humans. In this way, it saves times and helps to reach the market profits. Read more – How AI play a crucial role in eCommerce app development? The artificial intelligence service offering brings about a number of innovations with the help of which one can lead a more hassle-free lifestyle in the marketing industries. The job of the marketers becomes easier and less accountable in some aspects. This is because now they do not need to constantly worry about forgetting to update something related to the campaign and go through a stressful situation during the whole campaign. Also, they do not need to worry about leaving out in mentioning the important variables in segmentation work. This is because machines do not forget. Rather, they can easily track and instantly activate the multiple processes which help to update and bring about important changes. It should be noted that data analytics when combined and coupled with a team of hardworking and creative marketing professionals gives the company phenomenal results and generate profits along with customer satisfaction. The Tenfold marketing team is known to strongly support the use of artificial intelligence services to wisely and effectively grow the business. Many marketing industries around the world have realized that the use of artificial intelligence, services provides quality services. Hence, we should thank such an automation facility and analytics. Another major use of these services is that it greatly helps to provide some audience-specific content and helps to distribute the content of their needs accordingly. In this way, it greatly benefits the marketing industry which seems reluctant to not make use of such artificial intelligence services. There is a production of more customer-centric marketing techniques and a variety of such techniques is highly appreciated. With the help of the AI services, the businesses are striving to reach the target. This is only possible because of the programmatic function of artificial intelligence. There is a production of customer-centric advertisements which helps to attract the customers and thus helps to reach the full potential of the market at a much faster rate. The AI helps to find the appropriate placements for the advertisements even on the social media and televisions. Also, it can adjust the expenses and placement of the responses helps to find the profit the marketing company is making. With the help of the artificial intelligence services, a structure is provided in the marketing industry. It helps to regulate the data so that the algorithm acquires a skill. In this way, the algorithm becomes both a predictor and a classifier. The algorithm can teach itself how to play chess and also recommend other online games. Also, thee modal accordingly adopts with the given data. One of the services which the artificial intelligence provides is the back propagation services. This allows the model to adjust with the help of training and adding the data when it predicts that the first answer is not quite right. The artificial industry services can also help to provide an incredible amount of accuracy in the marketing industry. This is done with the help of deeper neural networks. One can consider an example of the Alexa, Google Search and the Google Photos which are known to be based on deep learning. This, in turn, helps to achieve deeper accuracy and improve the market. Therefore the industry is now always on the lookout for better forms of artificial intelligence services that hiring better workers. The accountability of the workers does not seem to hold much importance like before. The marketers are now able to get the most out of their data. Now the data which is available can itself become the intellectual property of the market. You just have to apply the different forms of artificial intelligence techniques to get the most out of them. Therefore the role of data has become more important than ever before. It also helps to create a competitive advantage. There are numerous marketing industries who are applying such techniques but only the best will win. Thus it has increased great competitive values in the industry which in turn blinds the individuals. As the global world in continuing to invest greatly on the artificial intelligence technologies, we can see a major impact on the workforce because of this. We should also give importance to the creative human skills because the development of educational institutions can also help to achieve market targets to the maximum extent. Read more – How Machine learning (ML) And Artificial intelligence (AI) helps mobile app development? The AI-based solutions are known to collect data each time the user browses the internet. In this way, new data is generated and collected. This data indeed has the capacity to reveal different information which the user needs to guide its future behavior. Also, based on such information the market can be optimized and hence relevant information is supplied. With the help of social media outreach facilities, personal information id effectively handed over to the customers a plate plated with silver. In this way, the prediction of the campaigns can considerably reduce customer research and makes decision-making facilities quite easy. Talking about the marketer they are known to continue analysing the buying with the help of data collection and also the amount returned by the customer. The current hotshots like the SEO are being challenged by such artificial intelligence algorithms in a great way. The digital marketing industries are thus becoming increasingly powerful and making different types of marketing initiatives. This is based from the ground level to higher chances of changing trends. As the SEO and other banner advertisements add benefit they, on the other hand, are also becoming obsolete in a great way. One needs to think the importance of traffic on the website if such detailed prospect is already available at hand. In the previous years, the image recognition was very much confined to identifying the isolated objects contained in the mage. But now with the help of artificial intelligence techniques, the software can possibly provide to achieve a detailed description of a particular image. It should be noted that Amazon Recognition is actually the latest brainchild of Amazon which actually recognizes the human faces and different kinds of emotions involved to recognize and identify the objects. This innovative technology is greatly used the marketing sectors however there are other banking and financial sections who use them to a considerable extent in the marketing industry people are much dependant on it. Also, the of image recognition is largely used for faster payment processing facilities. Along with this it also enhances customer security and hence leads to the satisfaction of the customers. Social media marketing has become an increasingly popular way of marketing in today’s global world. The social media is always known to be biased towards the different kinds of visual content. The different tweets and Facebook posts with images are seen to receive 2.3X times more engagement. The artificial intelligence software is seen to look for the images in social media and also compare them to a large image library and help to draw conclusions. Therefore we can safely conclude that the artificial intelligence and learning have sufficient amount of potential to disrupt any industry on the planet and helps to effectively store a wide amount of data. In the new era of a global world, it is very difficult to find an industry which does not make use of the artificial intelligence techniques. One should note that if all the data is placed in the hands of the AI-based solutions, human creativity and affectivity would be soon lost. There stands a sufficient amount of risk about artificial intelligence making a bad decision. Then the whole industry suffers and the loss is very difficult to emended. Hence it is very important for the marketing industries to soon realize the importance of the human workforce along with the use of artificial intelligence. The credibility of the artificial intelligence services cannot be ignored. Their positives in using them are much more than the negatives and hence its use in the marketing industry should be appreciated.